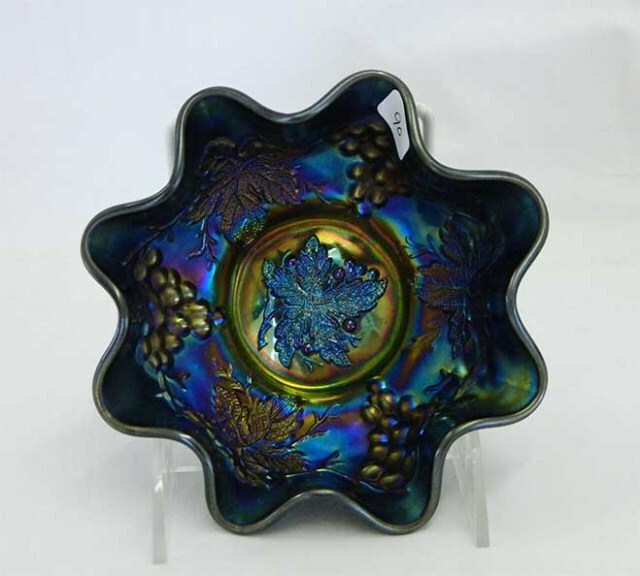 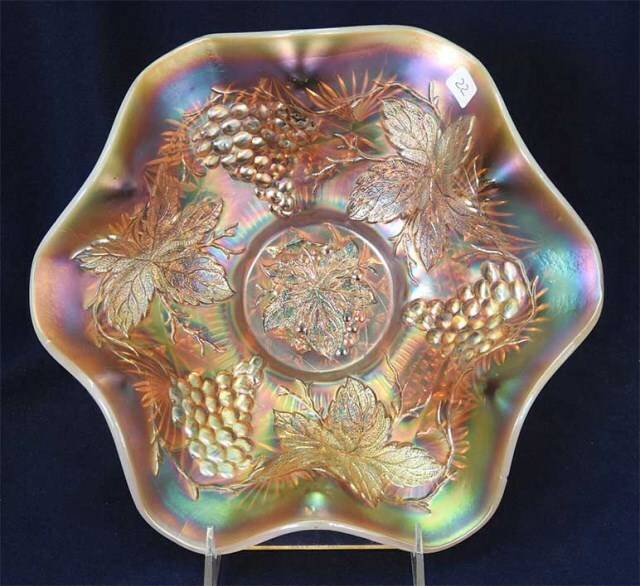 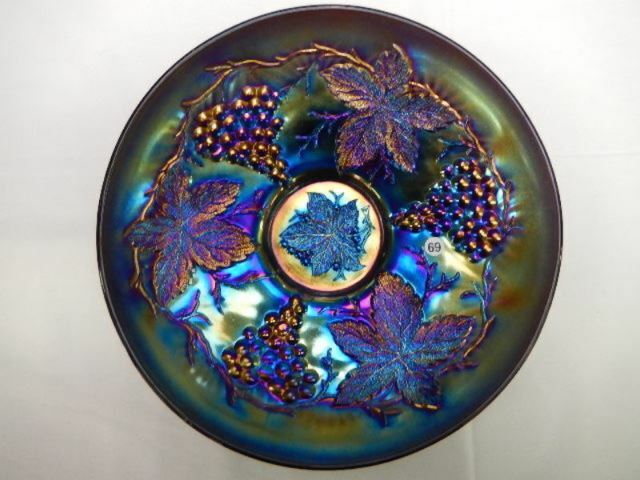 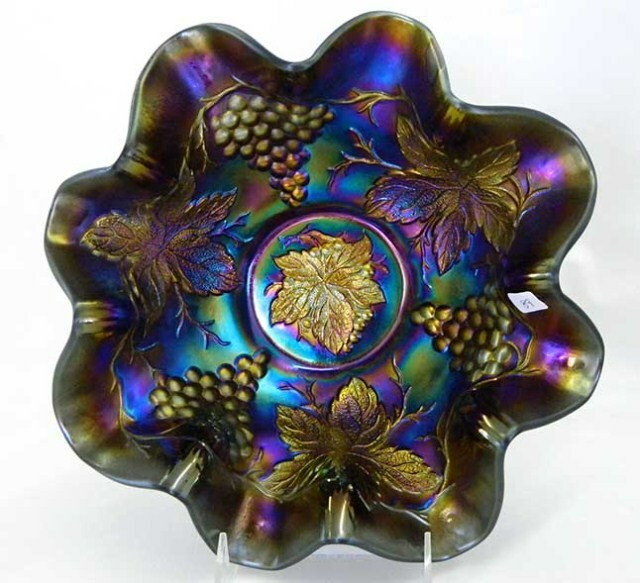 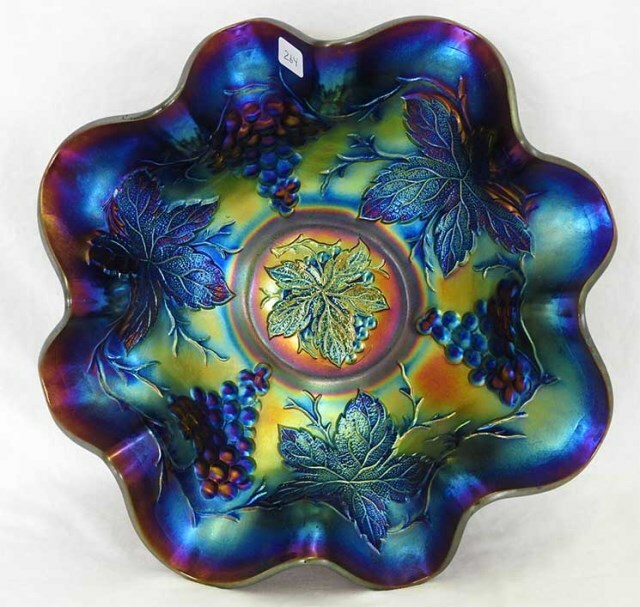 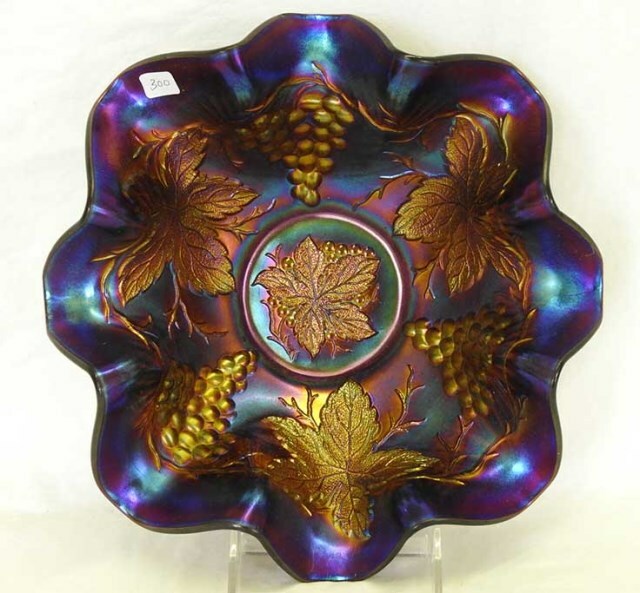 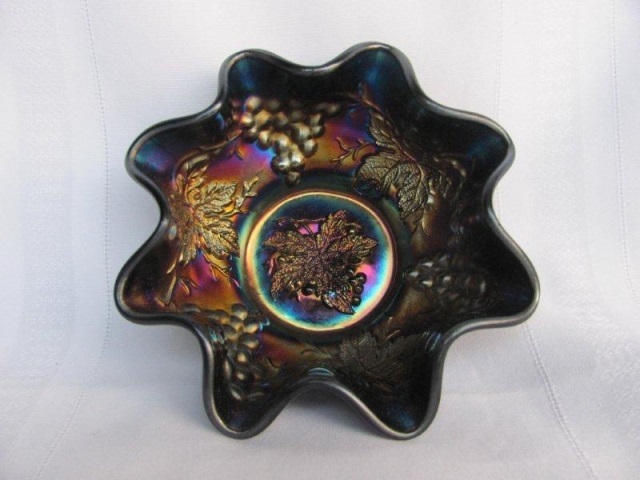 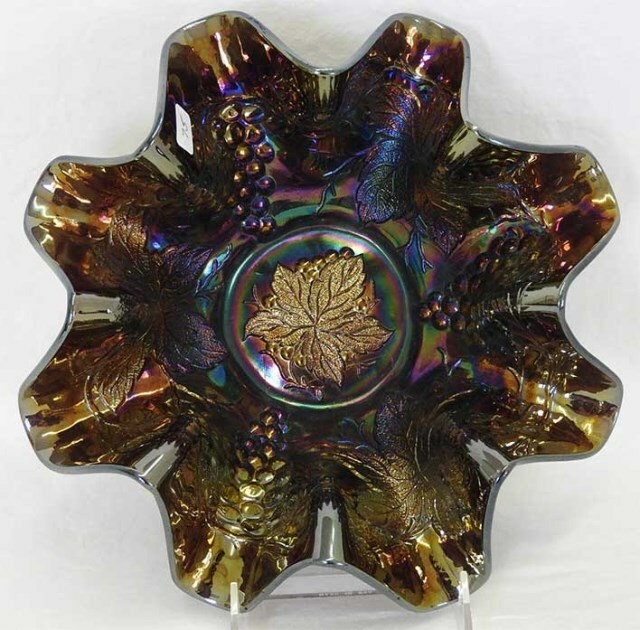 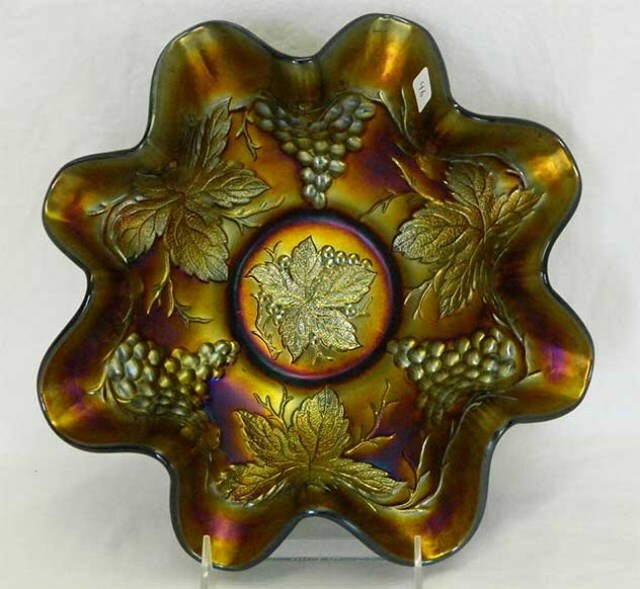 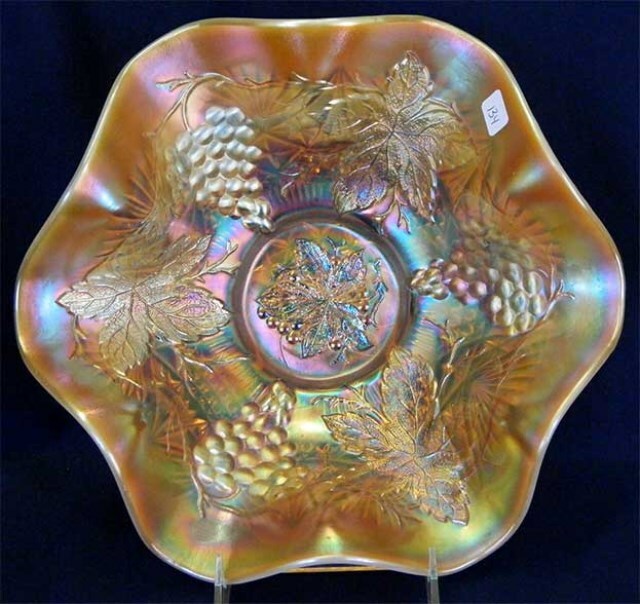 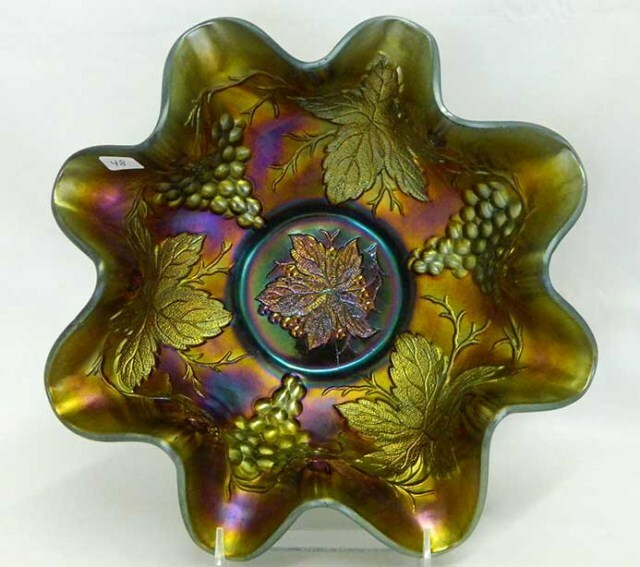 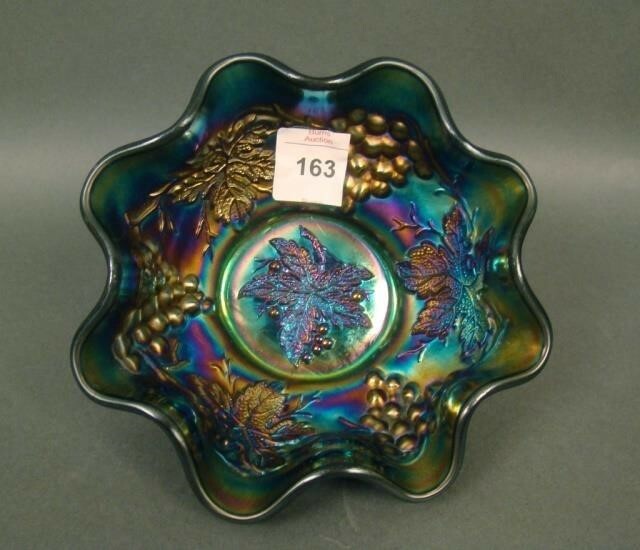 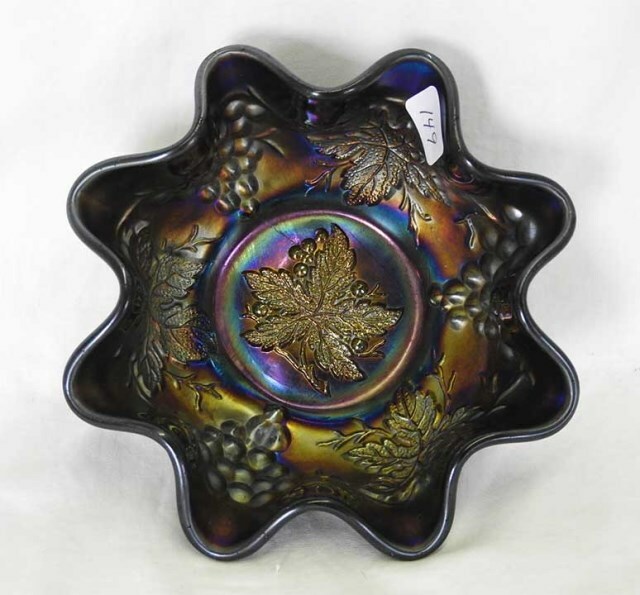 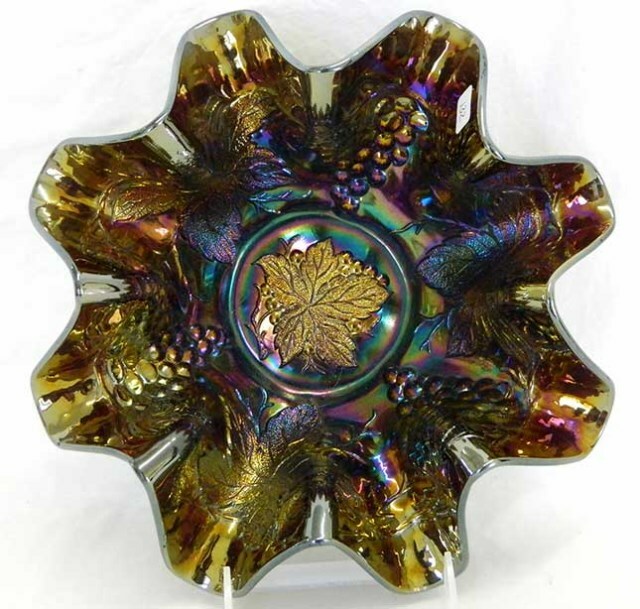 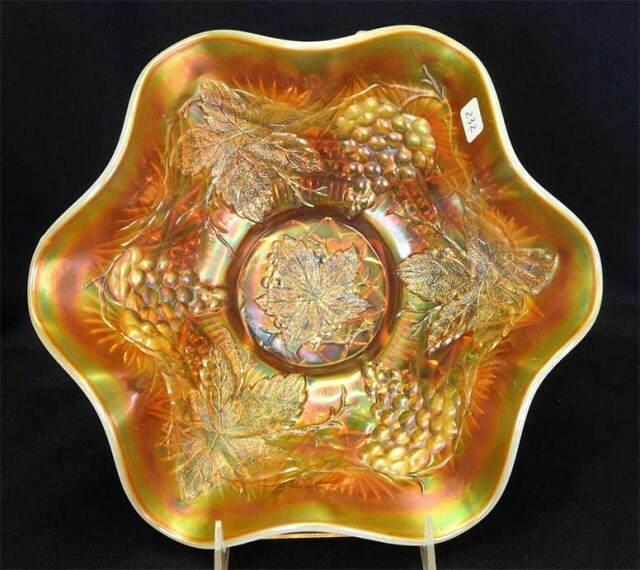 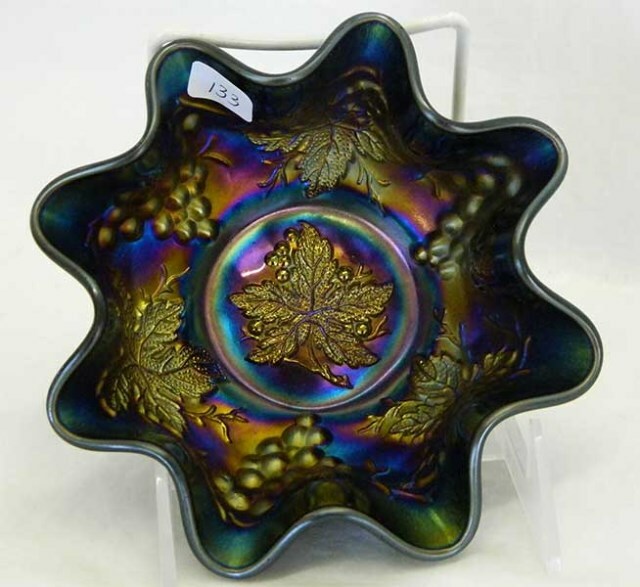 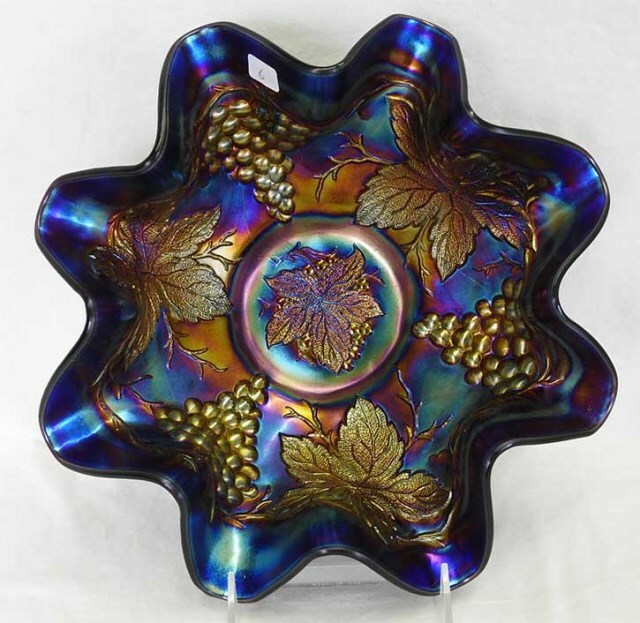 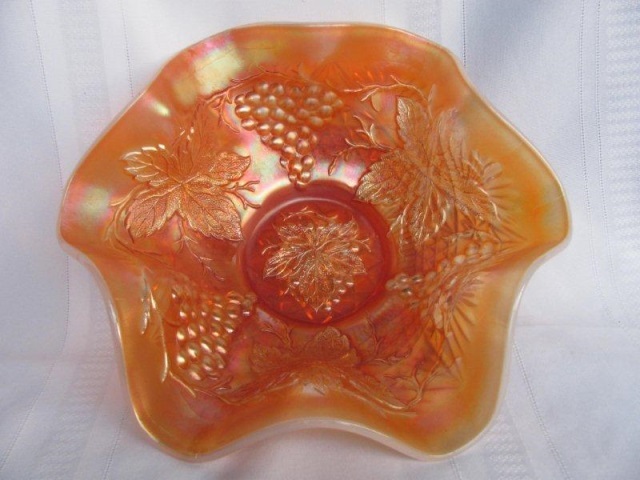 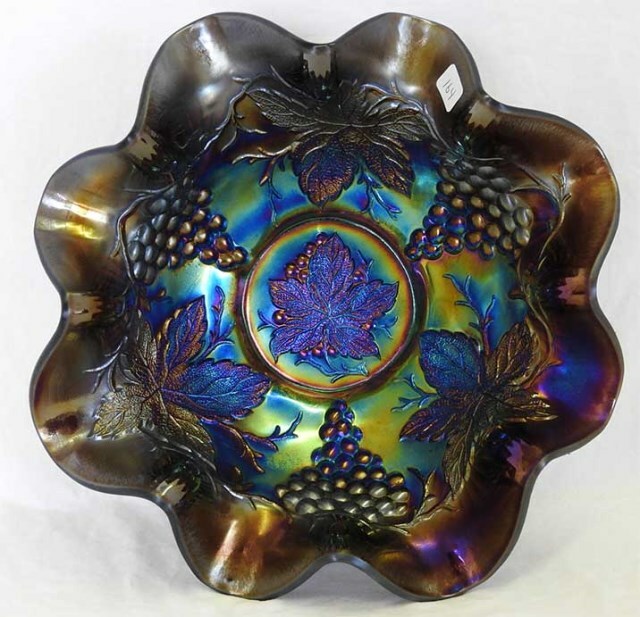 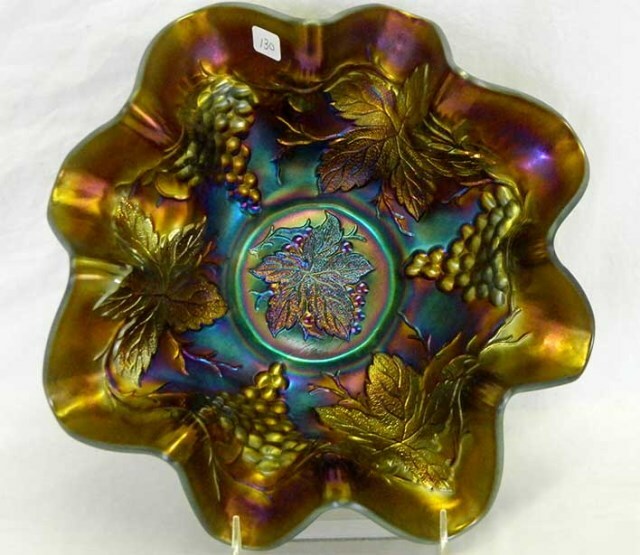 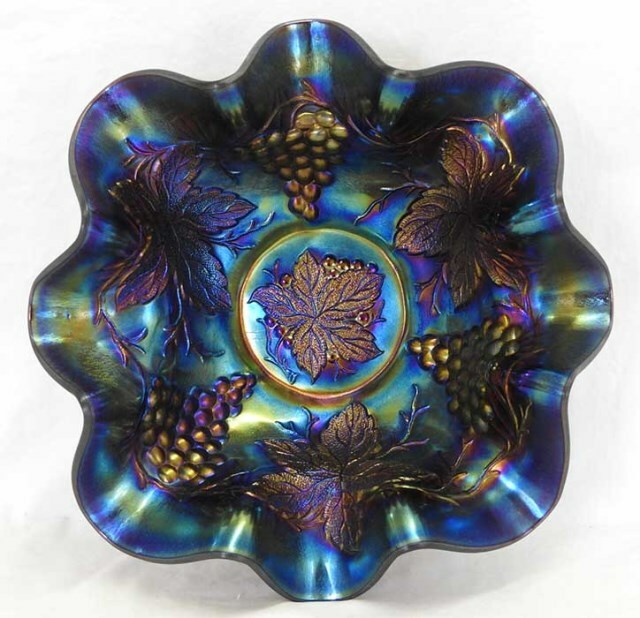 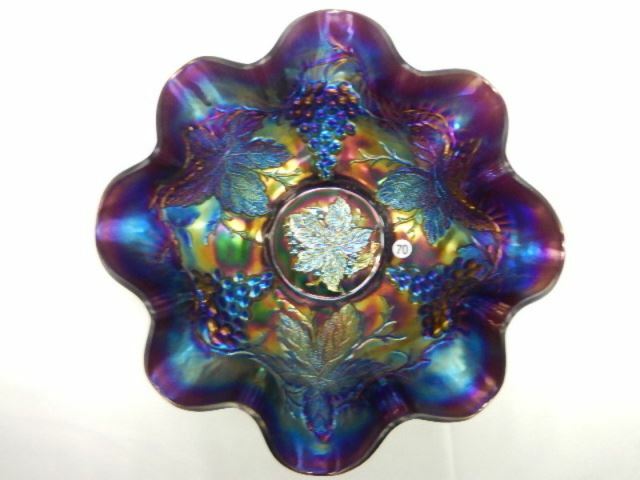 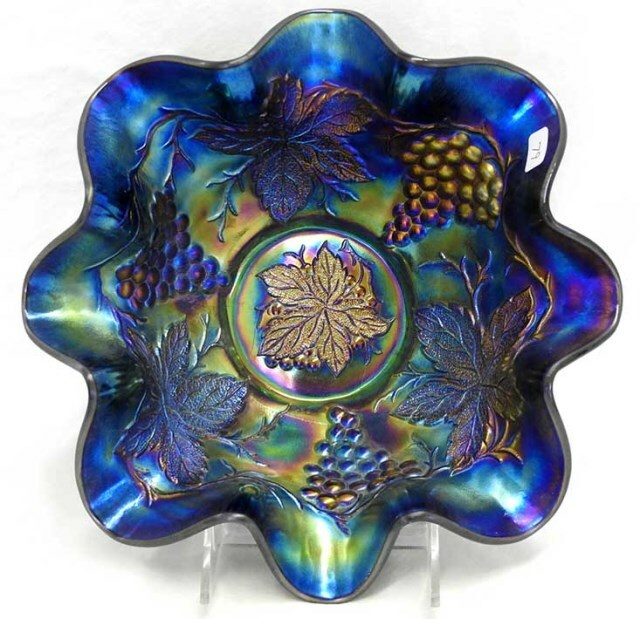 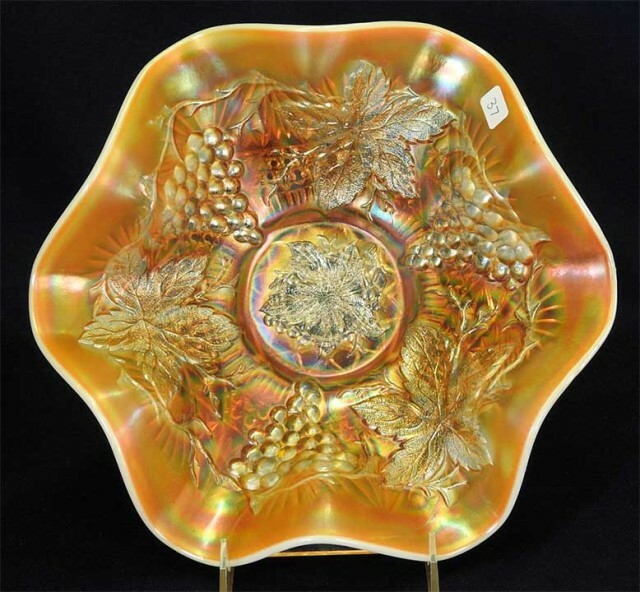 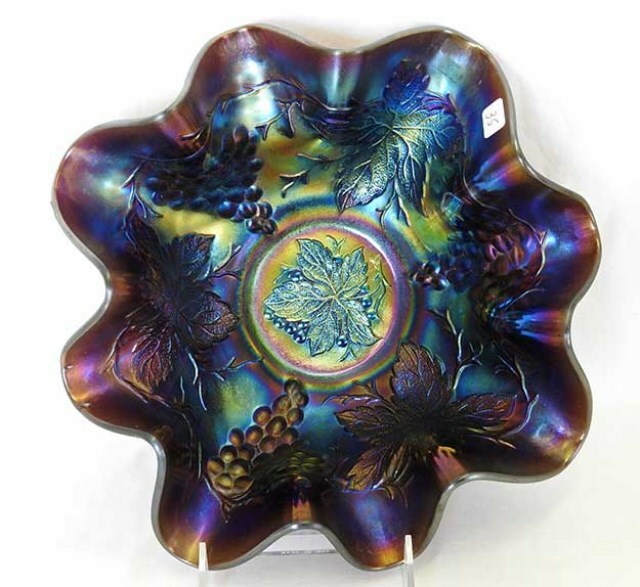 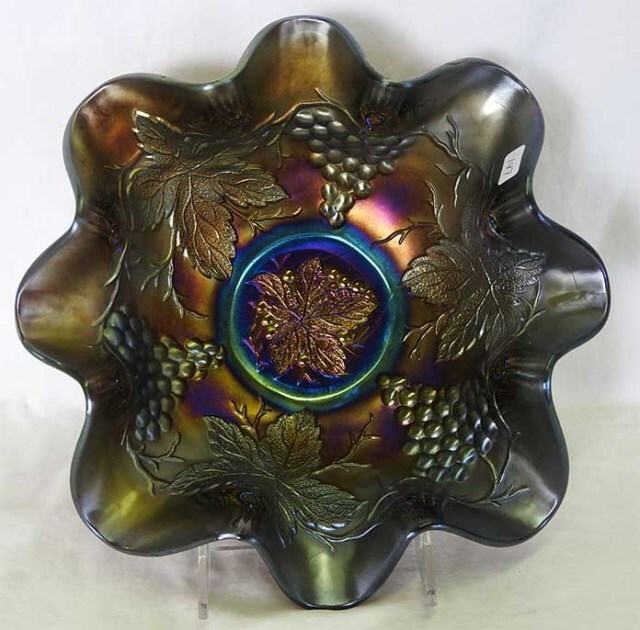 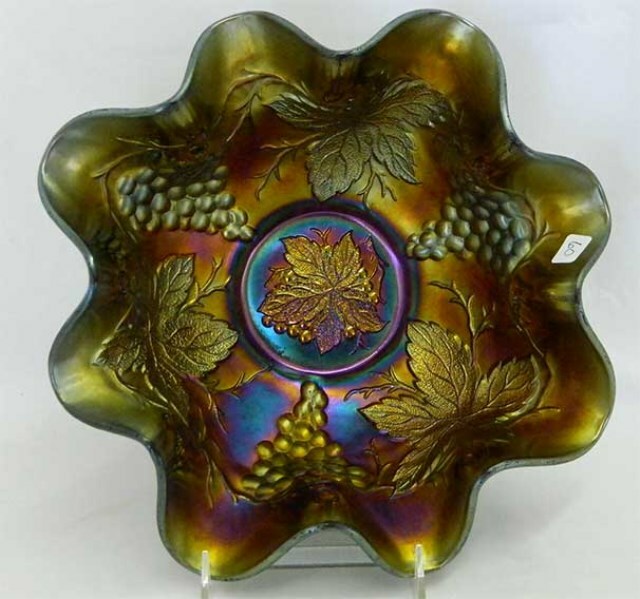 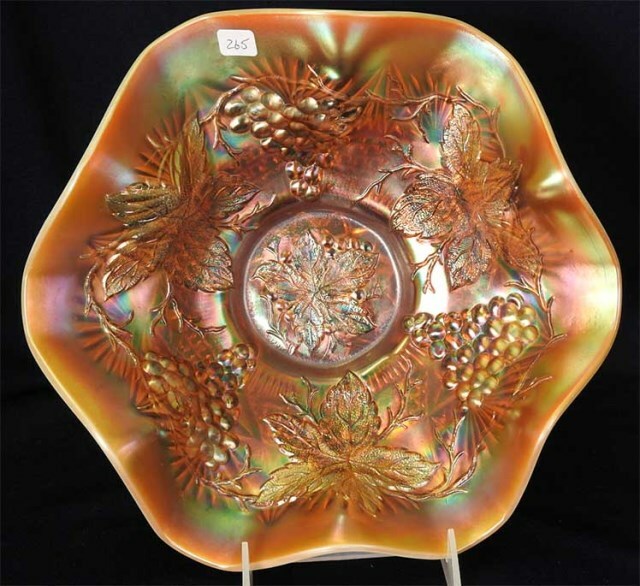 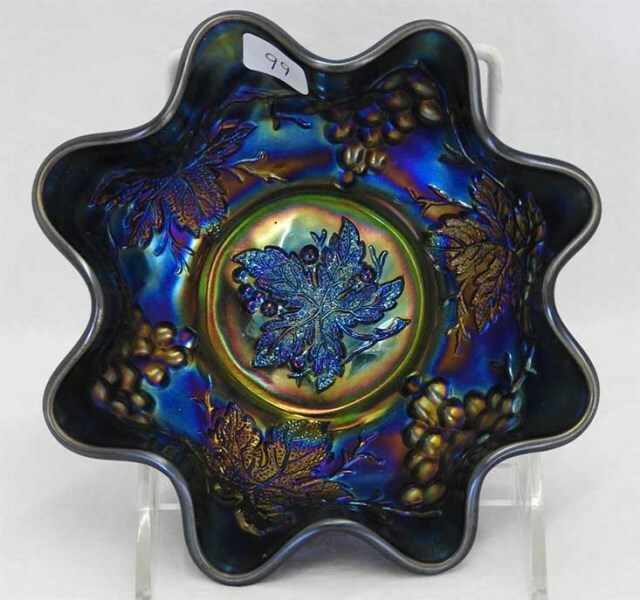 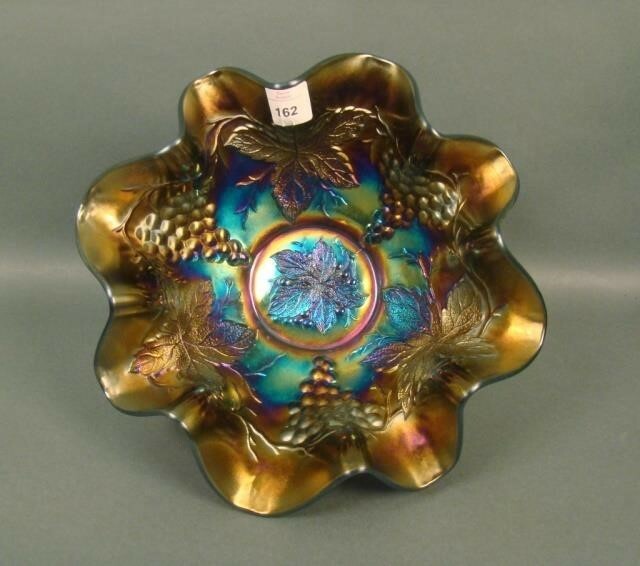 Pattern Description: Three large grape clusters and three large grape leaves circle the interior of these large and small bowls. 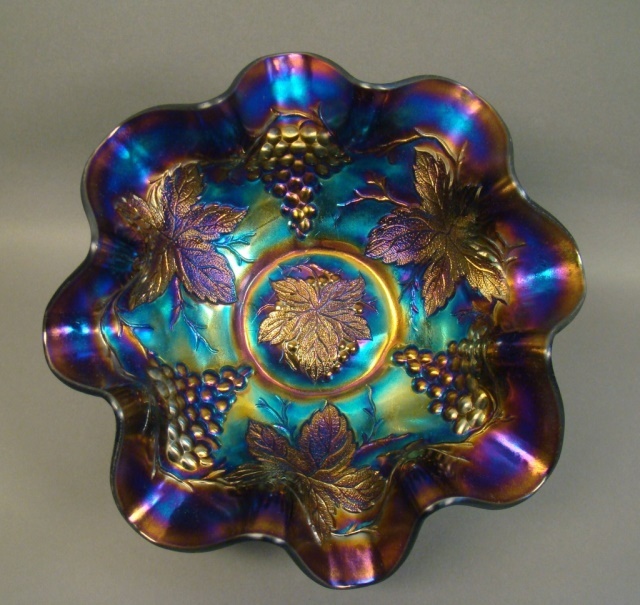 In the center is a single grape leaf with some grapes around it. 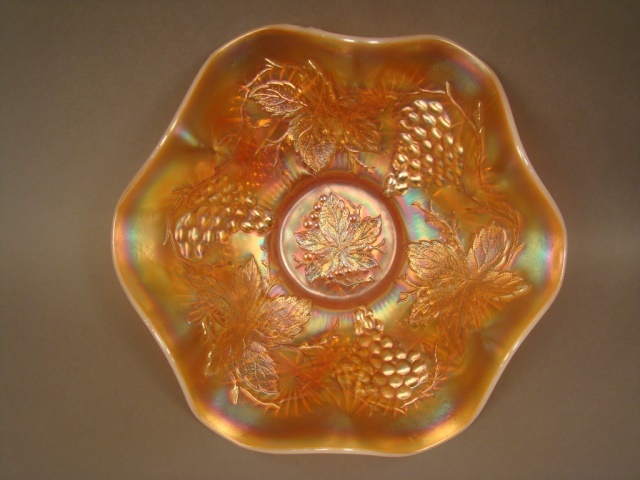 Exterior pattern is Compass.